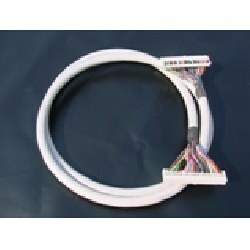 We are the leading firm, actively involved in providing Overmolded Cable Harness. Due to their longer service life, precise design and durability, these offered connectors are extremely valued and commended. 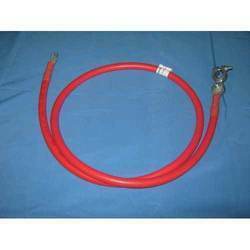 Justifying our reputation in this highly competitive industry, we have brought a wide assortment of Battery Cable Harness. We provide services only in Pune. ICPL offers Cable/Wire Harness Services. Our harnesses are rigorously tested by our quality team on well defined parameter in order to deliver you a flawless and best quality product. ICPL will support you with Competitive pricing, reliability and on-time delivery of your product. As an illustrious corporation of the industry, we are eagerly immersed in presenting a broad gamut of Cable Harnessing-D to our patrons. We are engaged in providing a wide range of Cable Harness to our clients. AQ Wiring Systems is a global business area, which offers wiring harness systems and electromechanical modules to demanding customers around the world. We offer cable harness with excellent mechanical and electrical properties. Our range of cable harness finds usage in various wiring applications. The range of cable harness is heat resistant which makes them perfect for using in different situations where temperature fluctuates. The dielectric properties of the polymers used in the cable make it a suitable choice for insulation of cables. We have vast experience in working with customers in the automotive, commercial vehicles, railway and engineering industries. This has taught us to relentlessly strive for improving processes and products, which has brought us to a leading position in the market.